We offer our clients with Lab Scale Nitrogen Plant that ensure highest possible performance level of every nitrogen gas generator. These can use an existing air supply or be fitted with a reliable compressor, which produces essential nitrogen gas used extensively in medical or laboratory purposes. Our nitrogen plants are efficient in continuous nitrogen supply and are designed to get under a bench top. These plants generate flow up to 100 liters/minute and purity up to 99.9% at a standard pressure of 100 psi. Our Lab Scale Nitrogen Plant produce flows up to 100 L/min and purity unto 99.999% at a pressure 100 psi. These generators can use an existing air supply or be fitted with a dedicated compressor. These nitrogen generators are specifically designed for laboratory use. They produce essential nitrogen gas used in medical or laboratory purposes. Our lab scale nitrogen generators are great in demand. We manufacture as well supply our nitrogen generators to the domestic market and far off countries. The units are designed to get under a bench top. 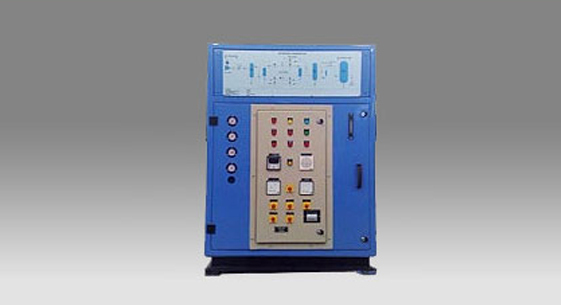 Nitrogen generators are efficient in continuous nitrogen supply. Compact and sophisticated in design. Flow rate 5 to 100 liter/minute.